Austin grew up in southern Indiana where he attended Indiana University and earned a Bachelor’s of Science Degree in Kinesiology in 2011. In 2015, He graduated from Regis University in Denver, Colorado with his Doctorate in Physical Therapy. 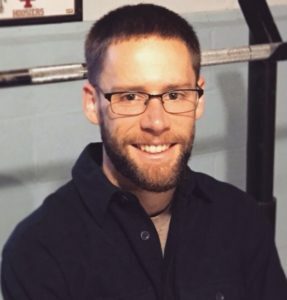 To complement Austin’s desire to help individuals progress from injury to full participation in sports he became a certified Strength and Conditioning Specialist through the National Strength & Conditioning Association (NSCA). Prior to graduate school, Austin played multiple sports including basketball, baseball and football in high school and then began competing in power lifting. Austin has a passion for exercise and specifically enjoys activities like hiking, running and weight-lifting. It is this passion that he bring to daily client sessions, instilling a belief in a healthy, active lifestyle. Austin is excited to have joined Dorothy at Personal Strength & Training. Working with Dorothy opens up new opportunities to both get more involved in the local community and to utilize his knowledge of human movement to improve performance and reduce the risk of injury in active people. Austin is a proponent of taking a holistic approach to training, one that helps each client achieve their individual fitness goals. He is currently working towards a certification in sports nutrition from the international sports society for nutrition to further assist clients in making their way to top performance. The National Strength & Conditioning Association’s (NSCA) Strength & Conditioning Specialist.